This Friday sees the closing date on the Department of Energy and Climate Change (DECC) consultation for the review of the feed-in tariff scheme, which is expected to ring the death knell for one of the UK’s green industries, writes Andrew Metcalf. As a result of this, the Government will reduce the feed-in tariffs on subsidies for roof-top solar power from 12.92p to 1.63p per KWh from January 2016, putting an estimated 27,000 jobs at risk, according to the Solar Trade Association. 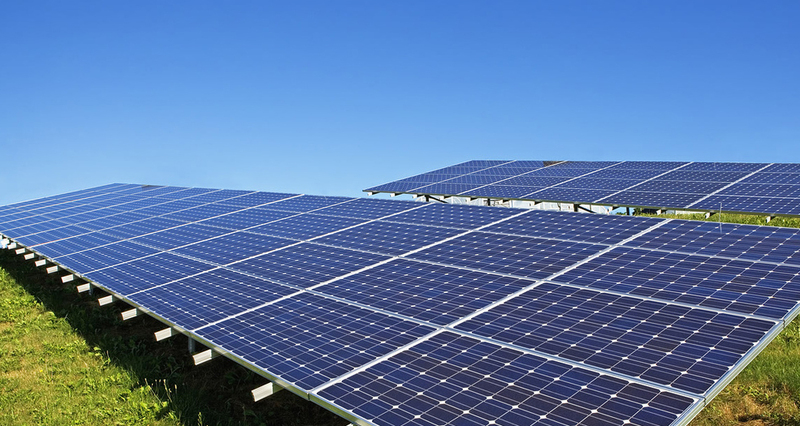 In addition to cutting feed-in tariff support the government has also announced plans to close the Renewables Obligation for solar farms generating less than 5MW. Research by Barbour ABI showed that the number of solar farm planning applications soared in the wake of the announcement on 22 July, with a record 83 applications made in July, 73 of which were for solar farm projects of 5MW or less, in an attempt to beat the deadline. Of these applications nearly a third of the solar projects put in for planning in July submitted their applications on or after the 22 of the month. In comparison, 45 applications were submitted for the entire month of June. It appears DECC Secretary of State Amber Rudd has been pointing the finger at her predecessor, Lib Dem MP Ed Davey in the coalition, for allowing spending to soar. The reduction of feed-in tariffs is the latest in a number of moves by the Conservative government to reduce funding support, effectively restricting onshore wind, energy efficiency and other green schemes – and has already resulted in job loses and company closures. The photoshoot of David Cameron on a sledge in the Arctic Circle highlighting climate change and announcing the Conservatives would be the greenest government ever back in 2006 are a distant memory. Ironically, the consultation closes as the world meets in Paris for a UN Climate Summit. The cuts in Government support for renewable energies have been criticised by Prof Jacquie McGlade, the UN's chief environment scientist. She has argued that the reversal in support ­– alongside tax breaks for oil and gas – comes at a time when the rest of the world is shifting towards clean energy. The team behind Kentcentric – Maxim – need to declare an interest. We do share a genuine belief in the role renewables can play in our energy strategy. As a result, and through our community engagement expertise, Maxim has successfully represented developers of solar farms and other renewable energy proposals through the planning process. As a result you might expect us to be critical of the policy changes. While it is true that there’s been an explosion of solar farms throughout the country, surely we need to have a balanced energy strategy that includes renewables. Should we be reducing our renewable energy capability yet at the same time doing a deal with the Chinese to build and operate nuclear plants in the UK? Surely at the heart of the energy security debate is the issue of ownership and its operation – without it there is no security. Much is made of the profits made by solar farm and wind farm developers, but shouldn't there be a greater focus on the financial sense of the deal struck by George Osborne with the Chinese? I for one would rather see arrays of solar panels than have our ability to light and heat our homes dependent upon a technology designed and ultimately controlled by a country over which we have little influence.